I rise today to pay tribute to a true hero of the working class and a valiant son of the Filipino nation. 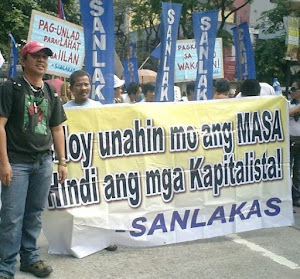 Filemon "Ka Popoy" Lagman lived the life of a revolutionary. 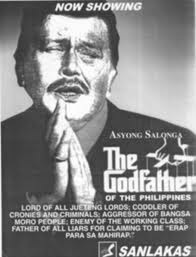 He saw the ills, the corruption, the injustice, the oppression in Philippine society and sought to change it. In his life, he championed the cause of the masses, particularly the working class. And in his death, he inspired the hundreds of thousands of men and women involved in the parties, mass organizations, and movements that he helped found and organized. 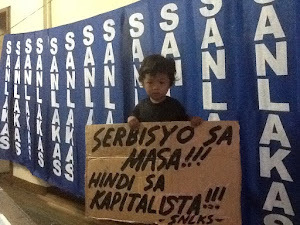 Ka Popoy did not waste even in his youth in his quest for social change. Barely out of his adolescence, he plunged into activism and began to participate in mass actions while a student at the Caloocan High School. 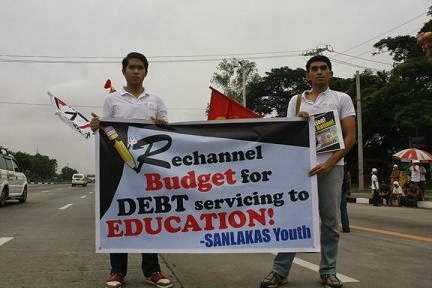 Then at age 17, he joined the radical youth organization Samahang Demokratiko ng Kabataan (SDK) while he was an AB Journalism student and a writer for the Philippine Collegian at the University of the Philippines. But his formal university education has to be shelved to heed the call of the revolution. 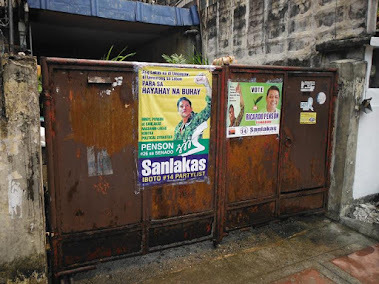 It was martial law and Ka Popoy saw the Communist Party of the Philippines as the only intrepid and uncompromising opposition to the iron-fisted rule of the elite. Recognizing his talent, the party elected him as Secretary of its Manila-Rizal Regional Committee, and it was during his watch when the country's most important urban center saw the resurgence of the mass movement, marked by labor strikes, student boycotts, and urban poor community organizing. 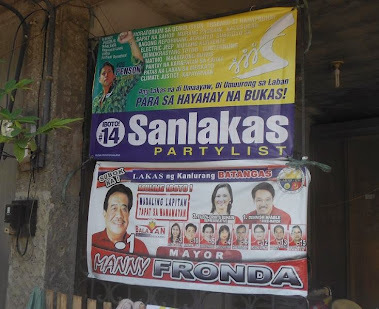 Not too many people know that Ka Popoy Lagman worked closely with the revered nationalist and civil libertarian Senator Lorenzo Tañada in the formation of Lakas ng Bayan or LABAN, the political vehicle in Metro Manila of Ninoy Aquino and the progressive candidates, such as labor leader Alex Boncayao, urban poor organizer Trining Herrera and youth leader Jerry Barican, in 1978 Interim Batasan Pambansa elections. 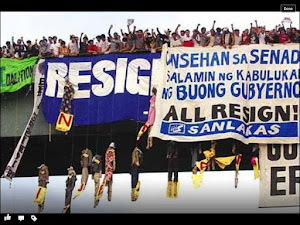 "It was on April 1978 that Lagman and the Communist Party of the Philippines' Manila-Rizal Committee he headed spearheaded what really was the prototype of the first People Power in 1986. 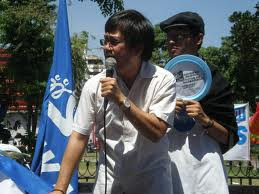 That was the metropolitan-wide "noise barrage" against the dictatorship. 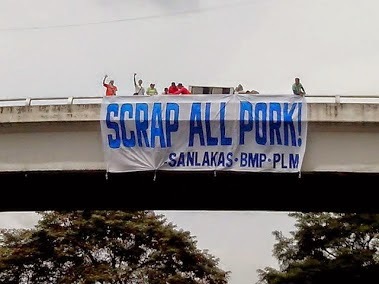 On the eve of the Batasan Pambansa elections, thousand of Manila residents stepped outside their houses banging pots and pans as motorists honked their horns to first shout that now classic protest-cry: "Tama na, sobra na!" 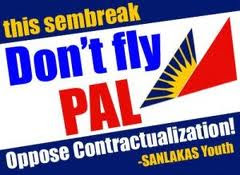 "Lagman missed out on the first People Power, as he had to follow the policy of the communist hierarchy to dissociate from the Cory-led opposition. That was the last straw for him. After debating unsuccessfully since 1986 with the communist leadership, urging it to change the party's tack toward what we call a "People Power" model of revolt, he broke away from the Communist Party in 1992." "This time around though, he was deeply involved in the second People Power. He had only two weeks to celebrate the victory." 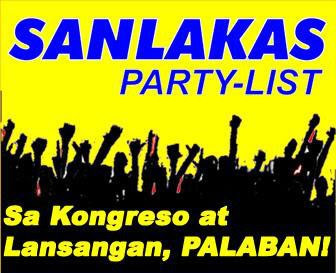 Through his relentless organizing and audacious mass mobilizations against the Marcos dictatorship, Ka Popoy Lagman has made a great contribution to the downfall of that regime. But the most compelling contribution of Ka Popoy Lagman to the historic struggle for social justice and emancipation is his championing the cause of the Filipino working class. "Popoy Lagman was a controversial figure, but his work and his activities for which he earned the ire of many, lent vigor, valor and added meaning to the Philippine labor movement. 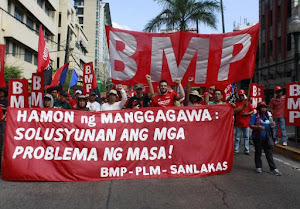 Under Lagman's tutelage, the BMP has proven to be the most militant labor movement. 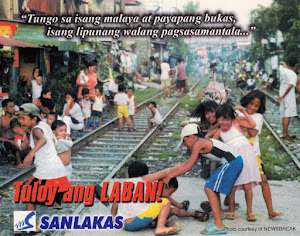 It is obvious that Mr. Lagman wielded strength because his methods were effective, and because many down-trodden people, especially workers, found validity in his cause and a champion in his person." 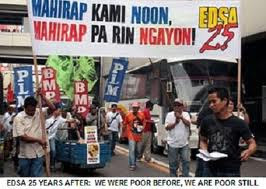 And who could forget that mammoth rally in Ayala Avenue during the height of the protest actions against former President Estrada, when the Bukluran ng Manggagawang Pilipino (BMP) spearheaded a work stoppage and a rally together with the Makati Business Club? 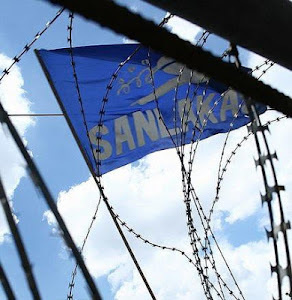 In the very heart of the country's premier business district, Ka Popoy Lagman, when asked to speak, defiantly called for revolution and the overthrow of the ruling class. 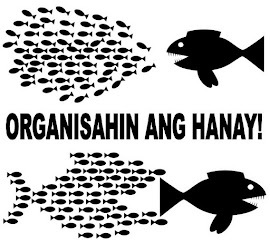 It is not an overstatement to say that, in the words of Secretary Rigoberto Tiglao, "the strength of unions now owes a lot to Lagman." 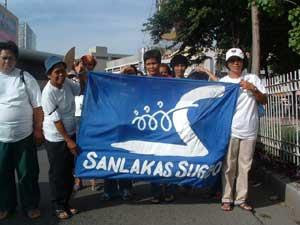 The urban guerilla group Alex Boncayao Brigade (ABB), named after the LABAN candidate in 1978 for whom Ka Popoy campaigned, was precisely organized as a union's self-defense unit. 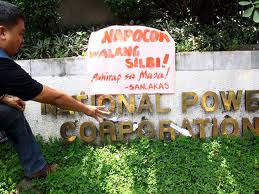 It was the ABB that became the counterforce against the hired goons and even policemen under the employ of sweatshop owners and unscrupulous big businessmen in Manila. 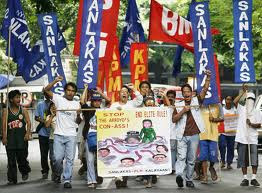 Under Ka Popoy, it veritably leveled the playing fields for the unions. 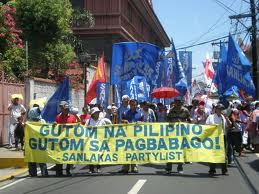 Ka Popoy Lagman's commitment to the cause of labor led to the founding in 1993 of the Bukluran ng Manggagawang Pilipino (BMP), now regarded as the most militant labor group in the country. 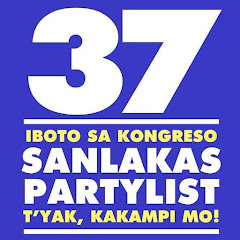 And although Ka Popoy never saw the establishment of the Partido ng Manggagawa - the only party-list of labor with a sitting Representative in these very halls of Congress - the powers of his ideas and momentum of his initiatives has ensured that the workers will have their own voice in parliament. Ka Popoy Lagman was a political visionary and a pioneer in the involvement of the Left in parliamentary struggle right inside the halls of Congress. 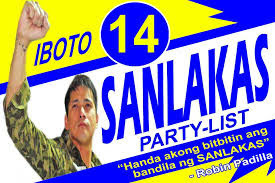 In 1994, he helped set up Sanlakas, which, through its organizations of workers, urban poor residents, women, youth, professionals and small entrepreneurs, was able to power its way to the House of Representatives in the 1998 party-list elections, and again in the 2001 elections. 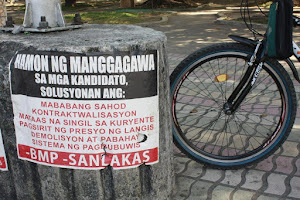 "Mga kasama, magtago ako't mag-underground, ako'y hinahanting. Magligal ako't mag-aboveground, ako'y inuusig. 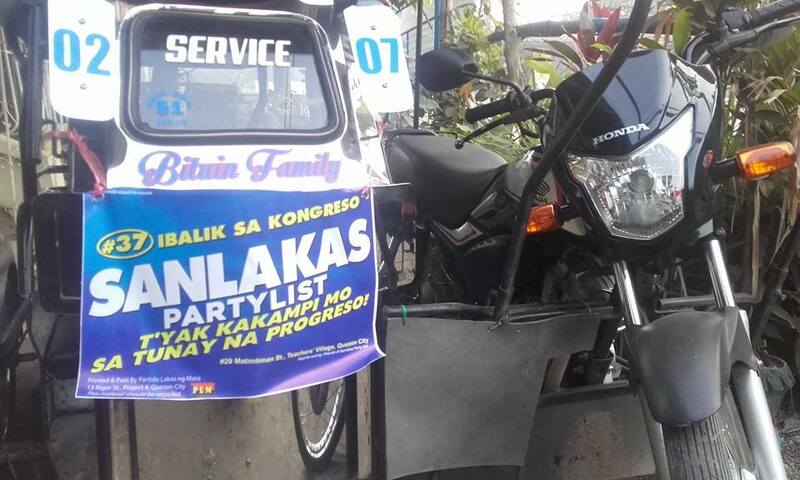 Iisa lang ang gustong mangyari ng gobyerno. Tumigil ako, isuko ang aking prinsipyo." On February 6, 2001, the life of Filemon "Ka Popoy" Lagman was snuffed out by assassin's bullets. 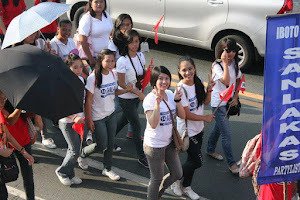 The cowardly act was undertaken right inside the campus of the venerable University of the Philippines. As a sure sign of gratitude for the life and work he dedicated to the cause of the workers and the common people, a mammoth funeral march, the biggest since those of the martyrs Ninoy Aquino and Lean Alejandro in the 1980s, brought Ka Popoy's mortal remains to its final resting place. 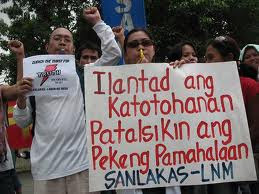 It will be three years since Filemon "Ka Popoy" Lagman was assassinated. 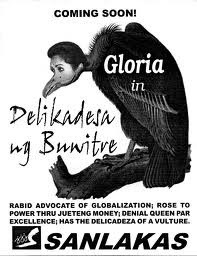 The dastardly assault happened only two weeks after President Gloria Macapagal-Arroyo was installed to power and only a few days after the First Gentleman Atty. Mike Arroyo personally assured Ka Popoy of his security and safety in the new regime. 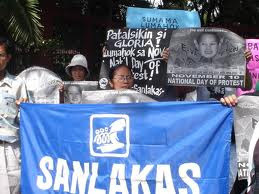 The director of the National Bureau of Investigation (NBI) and the then Chief of the Philippine National Police vowed that the criminal perpetrators would be caught and brought to justice. After three years, this government has remained empty-handed. 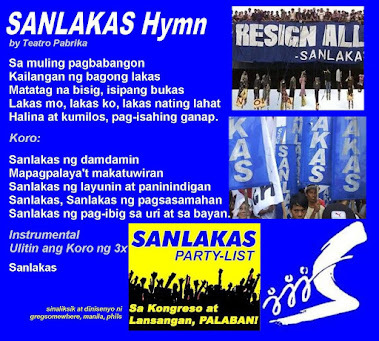 Sanlakas calls for the immediate reopening of the investigation of the killing of Filemon "Ka Popoy" Lagman. 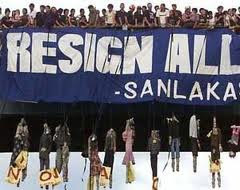 Sanlakas demands concrete results from the NBI and the PNP, and calls on these agencies to bring the criminal perpetrators to the bar of justice in the next 30 days or else the heads of these agencies should step down. It is but fitting that the story of the life and passions of Filemon "Ka Popoy" Lagman, one of the greatest social revolutionaries of our times, a true hero of the working class, and a gallant son of the Filipino nation, be told in this chamber of deputies. For though his mortal life may have shortened by the enemies of revolutionary change, his ideas and commitments lives on in the countless people whose lives his works has touched. 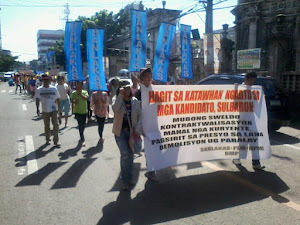 They are in Sanlakas, they are in Partido ng Manggagawa, they are in KPML, ZOTO, and many other mass organizations; they are spread out in the four corners of the country, making sure that the dreams of a better society for the workers and the marginalized Filipinos would someday become reality.